Austria, Salzburg. Matthaus Lang von Wellenburg, AD 1519 to 1540. Silver Zweier. 1536. 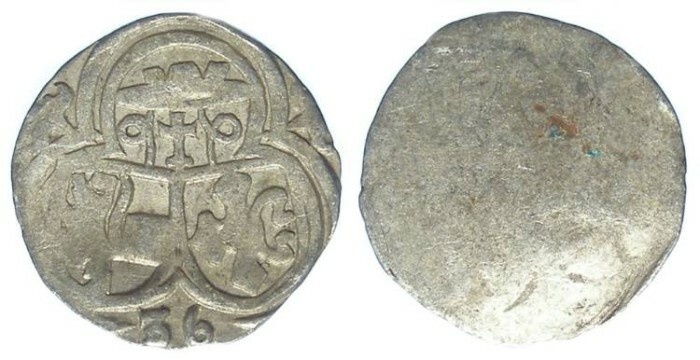 Denomination : Silver Zweier (1/2 Kreuzer). Mint : Salzburg. Size : 15.1 x 15.8 mm. Weight : 0.65 grams. Reference : Saurma 897/383. Probszt 294. Obverse : Tri-lobed arms with a Cardinals hat at the top, with the date 36 (for 1536) below (the date is fully on the flan and very clear).